Lack of consideration for others is a myopic disease plaguing our society. Our tunnel vision has become so exclusionary that looking to the left or right to see if there may be something or someone in need of your help becomes a source of disorientation. We have all been in positions where we could use assistance, whether it is an open door because your hands are full or help carrying some of your burden.Yet when we have the potential to ease another’s load, it is too easy to bypass them without a second thought. It used to be second nature to hold the door open for one another. If you were short a few cents at the check out counter the person behind you would make the difference without an IOU. Kids understood that women, the elderly and handicapped should have a seat first on public transit before themselves. Today it is every man for himself. We live in an age devoid of chivalry. This word is commonly associated with the male code of ethics from a fairytale era where knights slew dragons to save damsels in distress. But in its true function it is genderless and timeless. Chivalry is simply a moral compass to guide you through life in such a way that courteousness becomes second nature. We have become too busy to help our neighbors and deem random acts of kindness as a waste of time. but honestly, a few minutes out of the day or less to better another persons day could hardly be classified as a waste. The problem, though, also lies in our own personal pride. Society adamantly discourages our nature to need support. Receiving help implies that you are weak or incapable. Don’t be ashamed or offended if someone offers you help, graciously accept it and in turn pay it forward. We have to replace self-absorption and narcissism with humility, a firm foundation upon which character can be built and a shift in the social paradigm from egocentricity to generosity can be made. 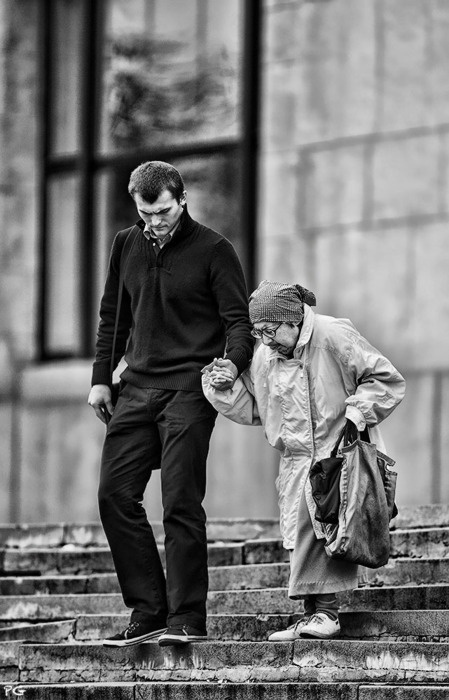 If we are less consumed with ourselves, how we look to those around us, and whether or not it is personally beneficial to offer assistance, there may be an inkling of hope for chivalry to survive within our present and future generations. We often talk and deliberate about what we want to see happen in the world around us, but never actually take action. We can sit around on our soap boxes and discuss the downfall of society but nothing will ever change until we make a conscious effort. So this is my call to action: be a human with a sense of humanity. You reap what you sow. Rather than planting and harvesting self-absorption and flagrant disregard for our fellow humans, why not propagate civility and chivalry and compassion for those other 7.1 billion people who also happen to inhabit this planet? Fashion & Immediacy | Consumer turnout vs. Designer burnout – Who wins? See what’s new in the Library!